Saint Edward Food and Wellness Center, which is located at 1001 Branch Avenue, Providence, began its operation on March 26, 2003 in response to the plight of hunger in the geographical north end of the city, a large impoverished area with limited resources, dilapidated public housing and statistically high poverty levels. More recently needy families from North Providence east of Douglas Avenue were added to area of eligibility. The Center, an all-volunteer outreach to the poor, situated in a former parochial school, is open every Wednesday from 10 AM to 2 PM and 5 PM to 7 PM. and is staffed by almost 70 dedicated volunteers assigned on schedule. Client families must register with proper documentation. 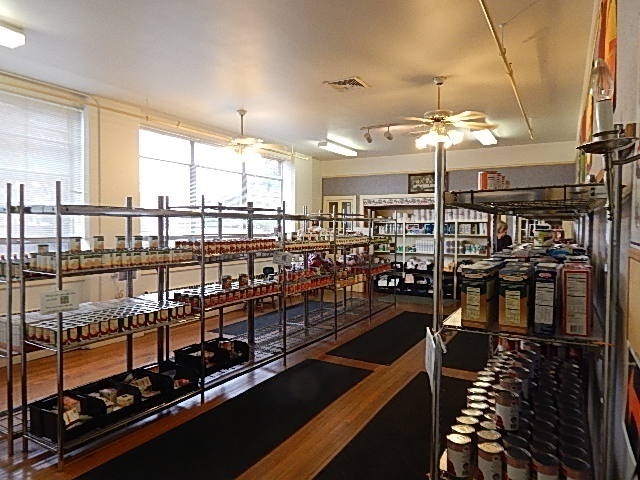 The particular design of this type of pantry enables the clients to personally select the food items they need from what is stocked on the shelves. Food items are collected from parishioners and purchased by availability from the Rhode Island Community Food Bank. The Food Center is the second largest agency serviced by the Community Food Bank and distributes over 400,000 pounds of food annually. Donations from local supermarkets, bakeries and pharmacies are also sought and distributed along with hot dog provided by a local businessman. Currently the Food Center is servicing over 2000 families as of this date as recorded on our database with an average of about 300 to 350 families receiving assistance weekly. In the Wellness Center adjacent to the food pantry a volunteer physician and registered nurses provide blood pressure, sugar and cholesterol screenings along with over the counter medications and first aid supplies. Periodically other health services such as the URI College of Pharmacy are brought in to offer advice and support to the clients. A thrift shop with new and used clothes, books and toys is operative on the lower level of the building.